Gary Yantin, Director of Best Practice, VinciWorks. Over 22 leading firms joined Director of Best Practice Gary Yantin and SRA Policy Executive Richard Williams for the second continuing competence user group. This candid conversation between the firms and the regulator focussed on how firms are implementing continuing competence since the changes to CPD in November, and to share best practice. Richard spoke about how many firms are still in the process of implementing continued competence. He voiced the importance that the SRA places on the new approach and advised that there will be an annual declaration as part of a renewal exercise to make sure firms are meeting regulatory obligations. Richard also made clear that the SRA will not be carrying out spot checks on firms, but will use the annual declaration in conjunction with other regulatory data to explore concerns that they may have with the competence or standard of service provided by a solicitor or firm. 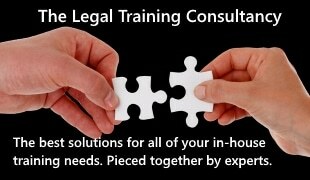 Solicitors should prioritise their learning, rather than focus on how many hours of learning they complete. They should demonstrate the importance of the learning they did. 50% of participants said they implemented the new approach by aligning their practices with an existing internal appraisal. Many of the firms are still finding it difficult to communicate the new requirements to their employees. The vast majority of participants felt the benefit of their approach was that training is tailored to the individuals or business needs. A recording of the webinar is now available. Simply complete this short form to view the full webinar. VinciWorks will be conducting regular user groups on a variety of topics to facilitate the sharing of ideas between firms. Most of the meetings will be over GoToMeeting and last about an hour. You can participate in the next meeting by completing this registration form.